The "Q" Review is teaming up with Dimples BBQ Sauce for this week's giveaway. 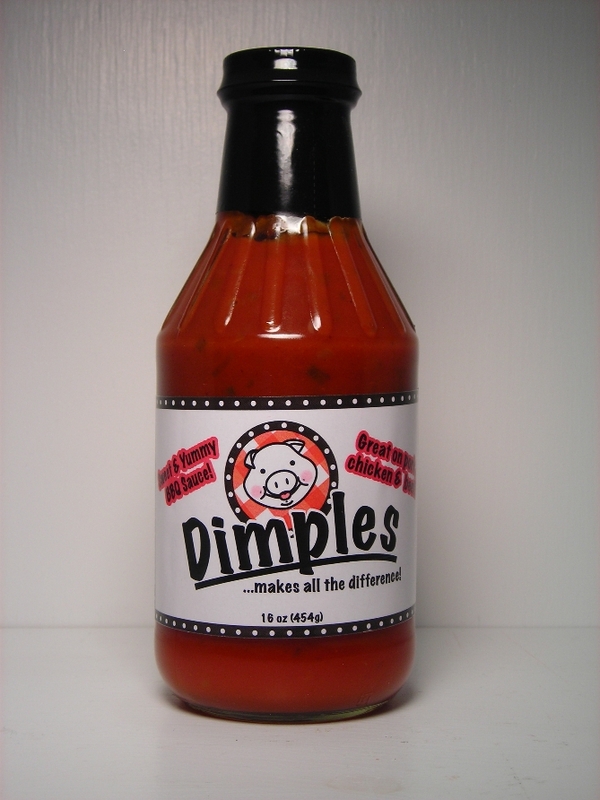 Dimples original BBQ sauce recently received a 5 star rating from The "Q" Review. Dimples is offering up a bottle of their sauce plus a Dimples T-shirt. This giveaway is open to everyone and concludes Sunday, Nov 6th @ 8:00 p.m.
How to Enter - Please read the directions carefully. There are two ways to win. 1. "Like" Dimples Facebook page AND leave a comment mentioning The "Q" Review. 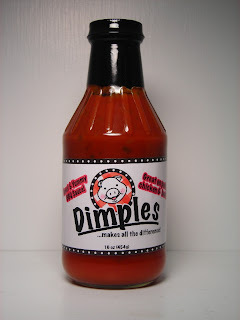 2 Response to "Product Giveaway - Dimples BBQ Sauce"
Love dimples sauce as well and found you from their Facebook page. Following you now as well.